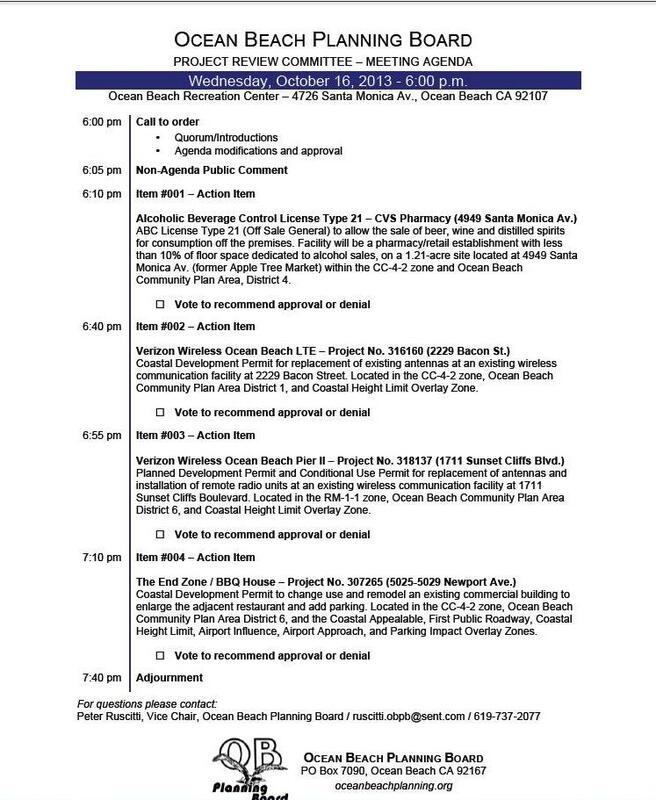 Full Agenda for OB Planners’ Review Oct. 16th: CVS Pharmacy, BBQ House Expansion, and Wireless on Bacon and Sunset Cliffs Blvd. Looks like a very full agenda for the upcoming Project Review Committee meeting Wednesday, Oct. 16th. The panel of planners sits as a sub-committee of the full Board – which will take up the sub-committee’s recommendations at its next meeting, November 6th. The review panel meets at 6:00 pm sharp at the OB Recreation Center, 4726 Santa Monica Avenue. It has four action items to review and take recommendation votes on. Peter Ruscitti – vice-chair of the full Board – is the chair of the review group. 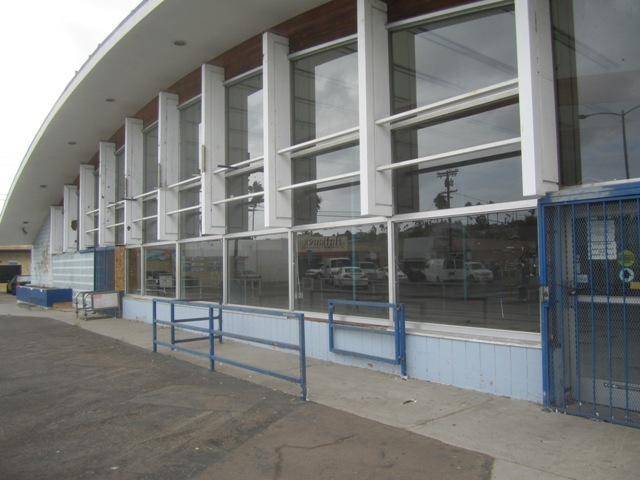 At the top of the list is CVS Pharmacy’s application for approval of its ABC License to sell alcohol at its new planned retail store – to be located at the former Apple Tree Market on Santa Monica Avenue. This issue was to be on last month’s agenda, but was pulled by the applicant in order presumably to get its ducks in order. Among the negative responses, 43% felt it was a “terrible” idea as CVS doesn’t sell fresh food – which would still leave OB-central without an inexpensive market. Another 24% agreed that it was a “waste” as OB already has a pharmacy. 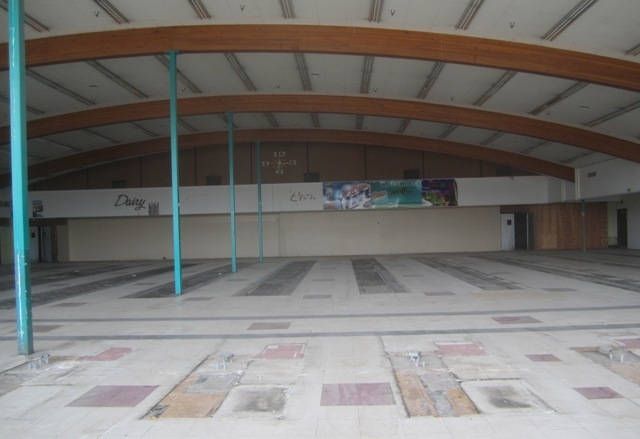 The positive responses so far included 14% who chose the option saying the empty building was a blight upon the neighborhood and they were relieved that something was going in. Another 12% agreed that it was better than Wal-Mart, condos or staying empty. Also on the agenda as action items are two applications by Verizon Wireless to upgrade their wireless facilities at two different locations in OB. The first is at 2229 Bacon and the other is at 1711 Sunset Cliffs Blvd. Both applications for permits involve the replacement of existing antennas on Bacon and the replacement of antennas and installation of remote radio units on Sunset Cliffs. 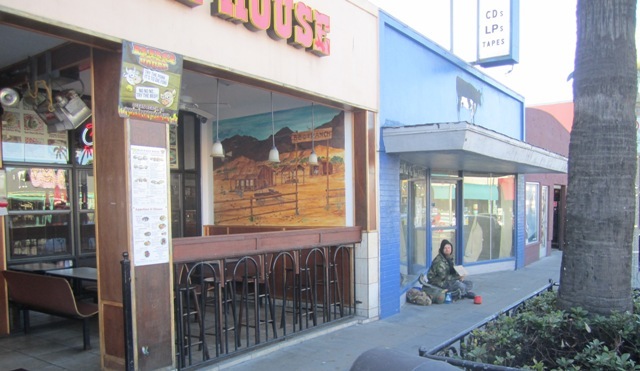 Finally, the BBQ House is expanding into the former Cow store area and wants approval to do this, which also involves parking requirements. And it looks like they are changing their name also to “The End Zone”. Cow moved across Newport months ago and we reported on this expansion at the time. Now, it’s time to move and get it approved. This is an amazing progression for the folks who own and work at the restaurant. A few of us may recall when the BBQ was just a hole in the wall in the old Strand building across the street. It was very popular as Abdul and his family really were cranking out the quality food and sauce. When the building was sold and they had to move, the Planning Board voted to waive their parking requirements so they could open up their present location with some ease. As noted, decisions of the review panel will be taken up by the full Board at its next regular monthly meeting, Nov. 6th. At least we wont have to wait in line for 20 minutes at rite aid anymore. The End Zone? Sounds like a sports bar at an airport.Keep it BBQ house!I remember the tiny place, and I liked it better for some reason.Bigger isn’t always better….